Consider breeding season when planning nuisance control activity in order to avoid orphaning young. Red and gray foxes are both found in most areas of North America. Foxes are a member of the canine (dog) family, with a long pointed muzzle, large pointed ears, and a bushy tail. Red foxes typically are light orange-red with black legs, a light-colored underbody, and a white-tipped tail. They prefer open woodlots interspersed with farmlands. 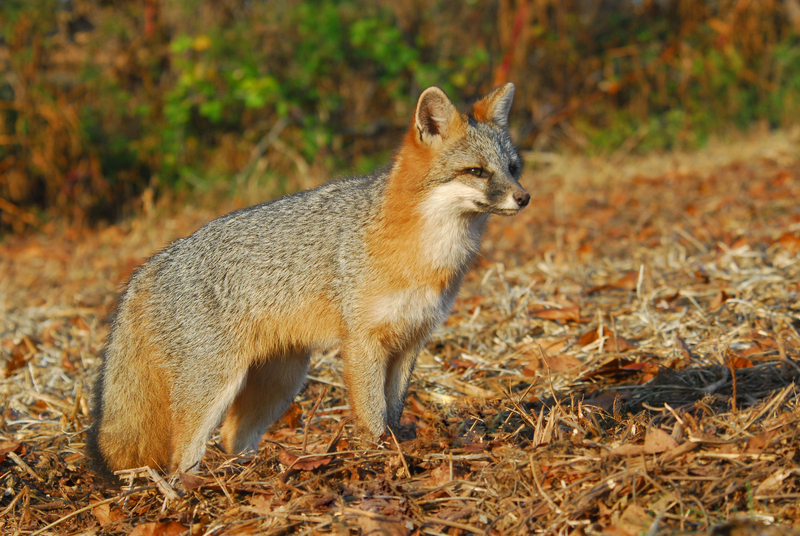 Gray foxes are primarily a salt-and-pepper gray above with yellow-tan underfur and a black-tipped tail. They are adept tree climbers, and prefer heavier cover such as forests, swamps, and areas along rivers and streams. Both red and gray foxes are largely active during dawn and dusk hours, and are primarily nocturnal. However, it is not uncommon to see either species foraging during the day, especially during the breeding season. Foxes den in burrows, wood piles, rocky outcrops, hollow trees, and brush piles, as well as under sheds and decks. They tend to be opportunistic feeders, consuming small mammals, rabbits, birds, eggs, insects, fruit, and poultry. The breeding season for foxes varies by region. Mating typically occurs between December and February, with pups born in March and April and an average litter size of 3 to 6 pups. They are weaned after 12 weeks. Parents often move young to new dens every few weeks to protect them from predators. Foxes adapt to urban and suburban areas. They are afraid of humans, and will typically avoid them unless habituated or sick. Do not feed foxes or try to ‘domesticate’ them. This can increase aggressive behavior, which in turn can lead to small pets or children being bitten. 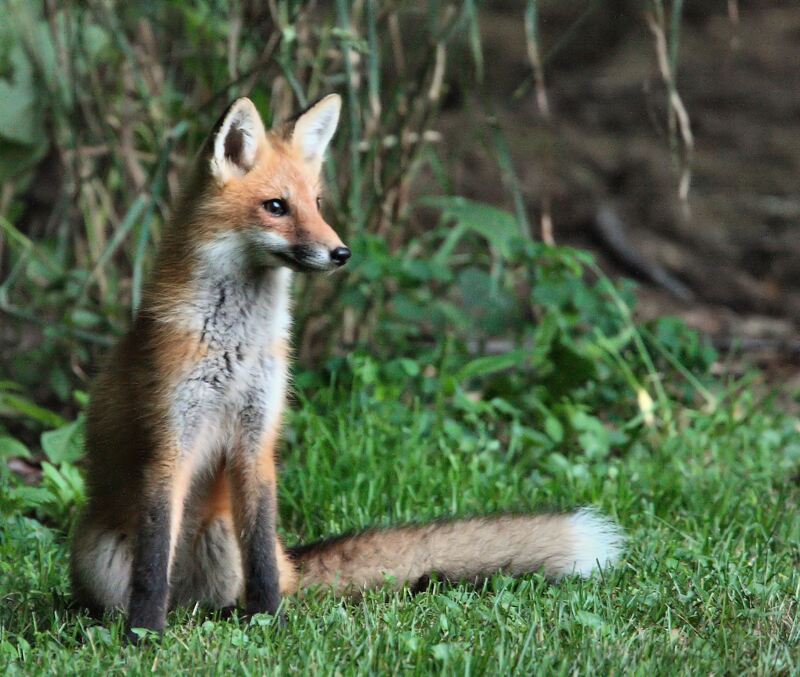 Foxes are opportunistic and may pursue easy food sources — such as unsecured chicken coops, pet rabbits or guinea pigs, outdoor pet food, and garbage. It is rare for foxes to pursue full-grown cats and dogs, but they may perceive kittens or small puppies as prey. Always supervise pets in a fenced yard or keep them on a leash when possible. Keep cats indoors — especially young kittens — to avoid confrontations. In rare cases, foxes may carry rabies. If you or your pet is bitten by a fox, call your doctor or veterinarian immediately. Foxes can carry mange — a skin disease caused by parasitic mites. Mange is communicable to other animals and people, but not without close contact. If you suspect your dog has been in close-range to a fox with hair loss and peeling skin, call your veterinarian for further advice.